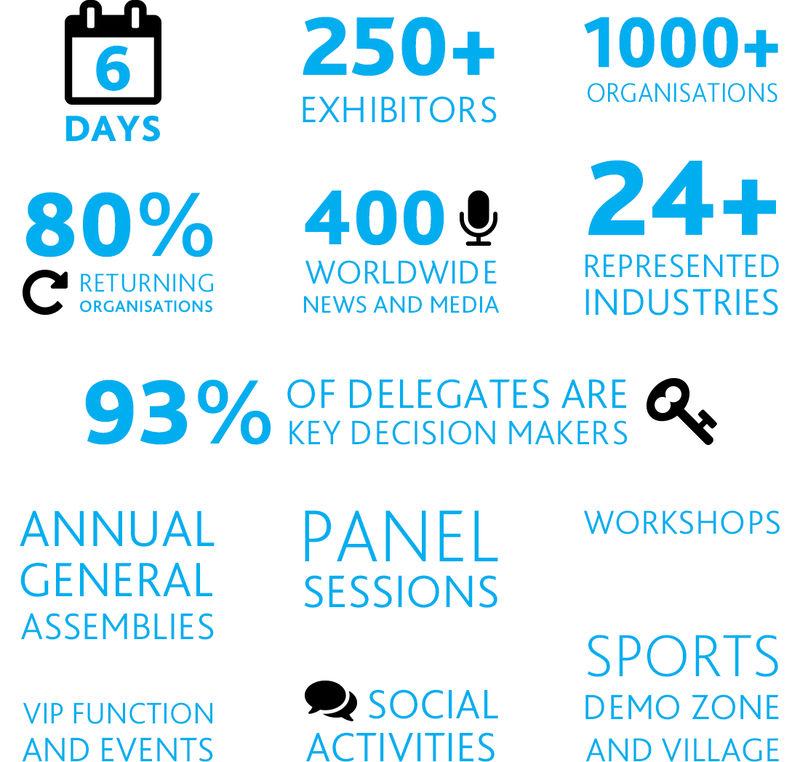 SportAccord Convention World Sport & Business Summit brings together over 6 days all levels of sport, economy, media, suppliers, art, culture and visitors, providing a global platform to access key decision-makers, promote events and develop new business opportunities. The 13th edition of the annual sports Convention will take place from April 19 to 24, 2015 in Sochi, Russia, the city which successfully hosted the Winter Olympics and Paralympics in 2014, and is set to be the biggest in the event's history. Owned by SportAccord, the Association of Summer Olympic International Federations (ASOIF) and the Association of Winter Olympic International Federations (AIOWF), SportAccord Convention event programme enables the world sports family to discuss key challenges and drive innovation to further sport and is attended by over 1,000 organisations, 92 International Sport Federations and 250 exhibitors, in addition to Association of Recognised IOC Sports Federations (ARISF) and Alliance of Independent Members of SportAccord (AIMS). SportAccord Convention receives the full support of the International Olympic Committee.